RESCHEDULED: Join us Tuesday, March 26th at 7pm in the MS Cafeteria for a special presentation: Supporting Your Child in Managing Stress and Anxiety. Click here for details. Next PTO Meeting: Tues. 3/12 9 am MS Cafeteria: Join us for a budget presentation in a joint meeting with the PQ PTO. Youth Mental Health First Aid Training will be taking place for ages 16+ at the MS/HS Library on 2/28 and 3/6 from 2:30-6:30. Click here for details and register by 2/11. Donate Blood at the annual Elizabeth Butler memorial blood drive on March 5 at the MS/HS, 3 -7:30 pm See flyer for more information. Juniors are invited to register for a college essay writing workshop taking place Monday, April 8 from 7:00 to 8:30 pm in the MS Cafeteria. Students will learn the role of the college essay in the application process, review different types of essays, and participate in brainstorming and writing exercises. The workshop and follow-up session are for STUDENTS ONLY, and space is limited to the first 24 juniors who register online at https://goo.gl/forms/bRqZJlsmVwY7siRF3. Please direct questions to mspto@northsalemschools.org. ​Mental Health & Wellness Fair: Monday, 5/20 HS gym 9:30-1:30. Details here. Worried about receiving too much email? Don't be. We understand this struggle and are committed to sending email sparingly. Consider Becoming a Member or Making a Donation! Membership dues help us provide opportunities and purchases that would not otherwise be funded. Examples of what PTO membership and donation dollars went to past years include scholarships for graduating seniors, MSA digital directory and store, new tables and seating for outdoor areas, and much more. New goals we have for this year include bringing expert speakers to PTO meetings, hosting events that build community among North Salem parents, and acknowledging the contributions of NSCSD employees and volunteers who enrich students' education..
Support our organization - The Easy Way! 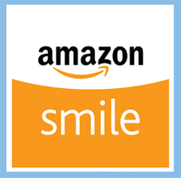 When you shop on Amazon, 0.5% of your purchase can be contributed to our organization. 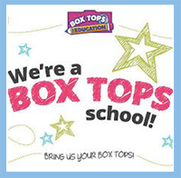 Clip and save General Mills Box Tops for Savings. 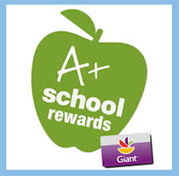 Check expiration dates and bring clipped Box Tops & Labels to MS/HS Main Office or a PTO meeting.